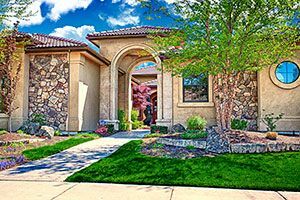 Corrente Bello is a luxury community with magnificent views of the Boise range in the heart of beautiful Eagle, Idaho. 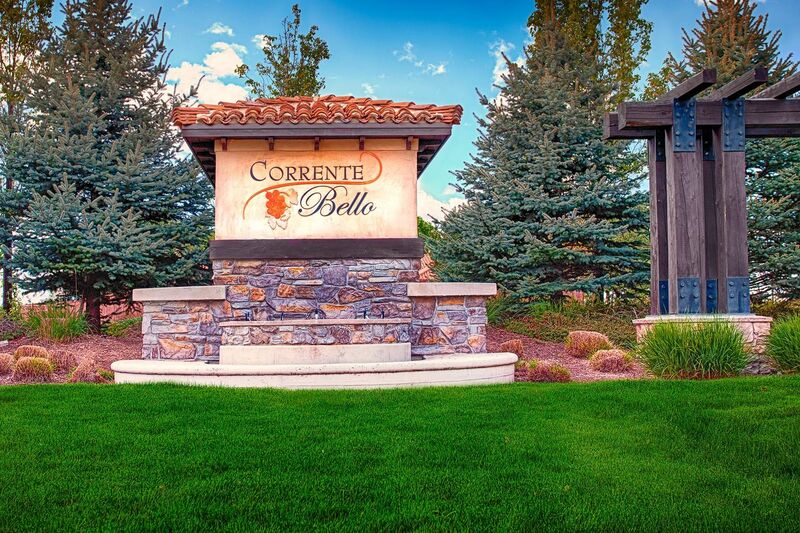 A family friendly neighborhood conveniently located near schools, shopping, recreation, and nature, Corrente Bello is a thriving, old world inspired community with a variety of lifestyle opportunities right where you live: Lush landscaping, breathtaking water features and tranquil ponds, resort style community pool and clubhouse, bocce ball court, parks and playground, and miles of walking pathways located just a stone's throw from downtown Eagle. Corrente Bello brings natures artistry into harmony with refined architecture and design to create a unique combination of natural grace and sophisticated elegance - an experience that lets you know you have found home in one of the finest communities in the country. The Corrente Bello annual meeting was held on January 15th at 7pm at the Eagle Public Library. The meeting was very well attended by more than 70 homeowner’s association members. Twelve members were on the ballot for the five available Board of Directors positions. The financial report was reviewed by the membership. Lots of questions and comments were expressed by many of the members in attendance. 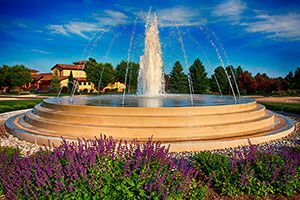 The Board of Directors list of 2018 accomplishments was presented to the membership as well as goals for 2019. 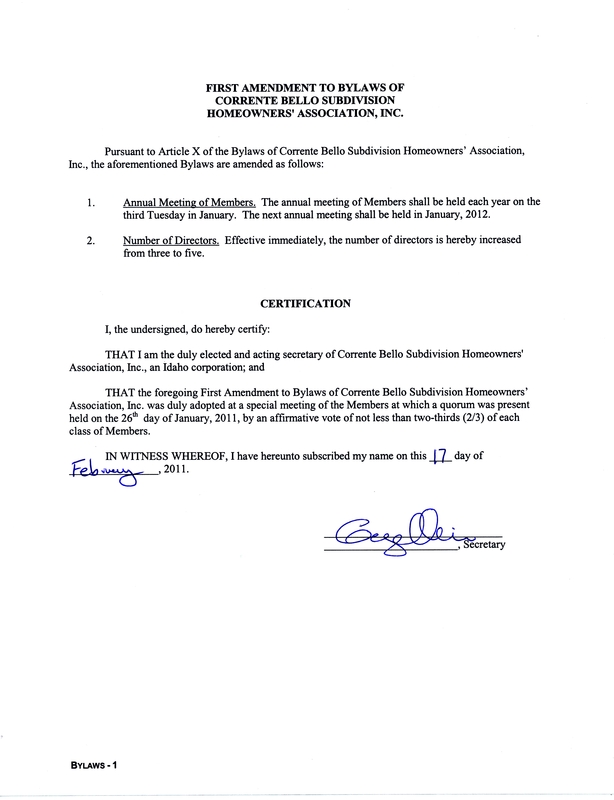 The association would like to invite any homeowners with an interest in joining a committee to please call or email Shirley Tarantino at Sentry Management. The well and pump building are up and running and the homeowners received several additional weeks of water. The water is scheduled to be on in March, weather permitting. The annexation of the sub-division next door was not approved by the homeowners, therefore a new sub-division is being built next to Corrente Bello. 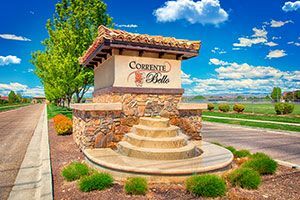 It will not be part of the Corrente Bello HOA nor will it be governed by the CC&R or architectural guidelines of Corennte Bello HOA. Construction has begun, please be aware that the construction entrance is on W. Peak Bello Street.